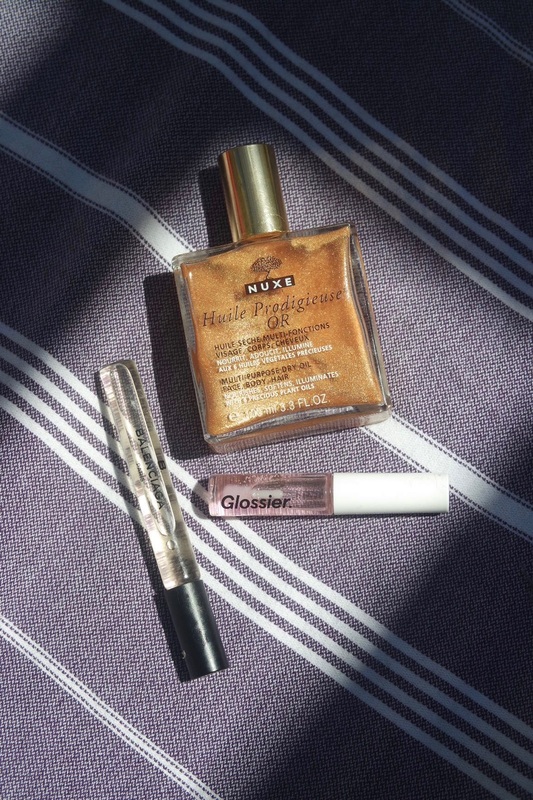 Is there anything better than warm, glowing, glossy everything on a hot day. Not sweaty, just wet. Dewy. Plumped. If I could I would dip myself in oil before heading to the pool, but instead I ... Wait. I basically just dip myself in oil. 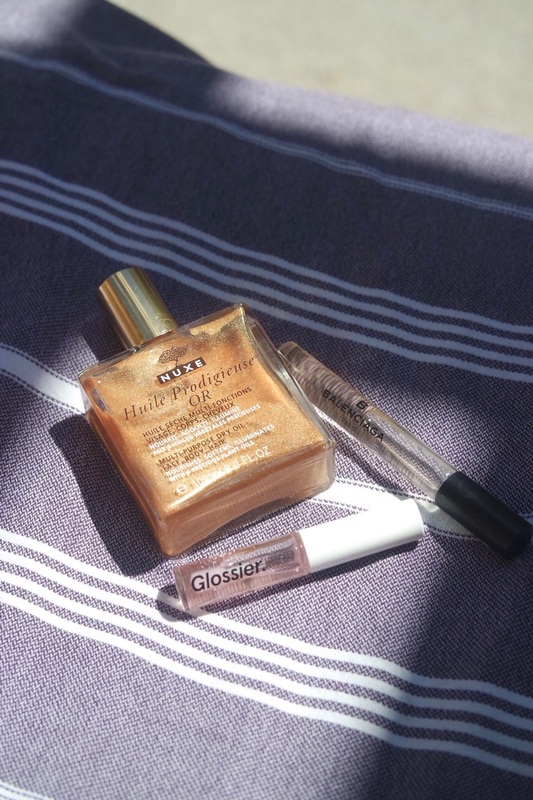 Glossier's Oil-based lipgloss which is shiny and amazing but never sticky. And this Nuxe Huile Prodigeuse oil with shimmer, which sells out every summer (currently sold out on amazon, ulta, and dermstore, I checked!) I wish I had more exciting things to write here, but honestly these products are great and I love them and I have run out of synonyms for shiny in a good way. I'm also trying to post fresh content every single day, which is usually awesome but I taught two spin classes today and my brain feels like pudding.